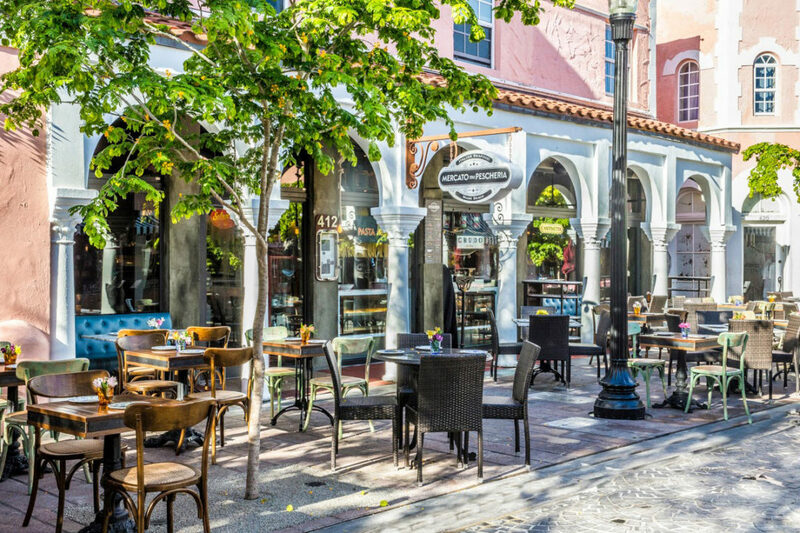 From individual to group dining, in the heart of Espanola Way, resulting in a traditional, simply delicious and authentic Italian restaurant cuisine experience with a variety of homemade pasta, wood oven pizza, exquisite fresh fish, savory steaks, Italian wines and cocktails. 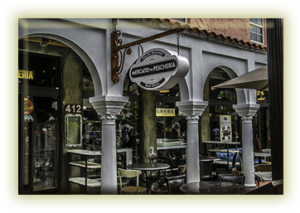 When looking for a place to eat in Miami Beach, here are a list of reasons that will make you want to make a reservation at Mercato della Pescheria. Looking for a romantic dinner in Miami Beach? Want a family getaway with authentic Italian cuisine? Looking for a place with beautiful decor and ambiance? In the mood for outdoor dining and drinks? 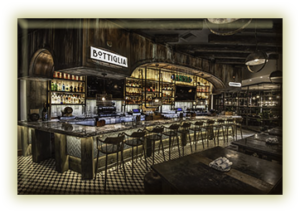 At Mercato della Pescheria, we specialize in Italian Food and offer a variety of options to choose from for your group dining event; accommodating parties from 25-150 guests. We host corporate luncheons, weddings, social gatherings, birthday celebrations and more. Our packages include options for breakfast, lunch, dinner and cocktail receptions. Buyouts are available upon request. 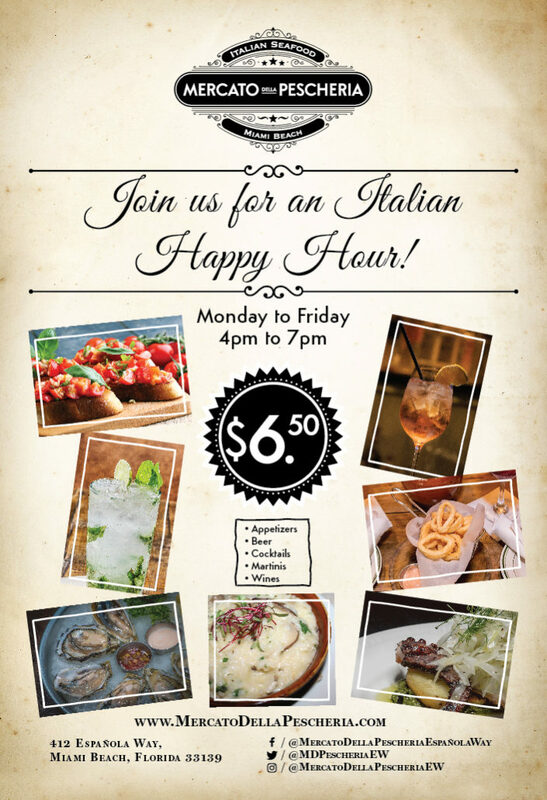 Keep up with the latest promotions at Mercato della Pescheria Miami, know about specials, happy hour, every day and upcoming promotions. Get daily updates about the best way to enjoy your day while in Miami Beach.